A record number of students have applied for admission to Drake University for the fall 2018 semester. As of March 5, first-year undergraduate applications totaled 6,587—a 23.4 percent increase from this time last year and 38.7 percent increase from this time in 2016. This represents the highest number of prospective Bulldogs in recorded history. 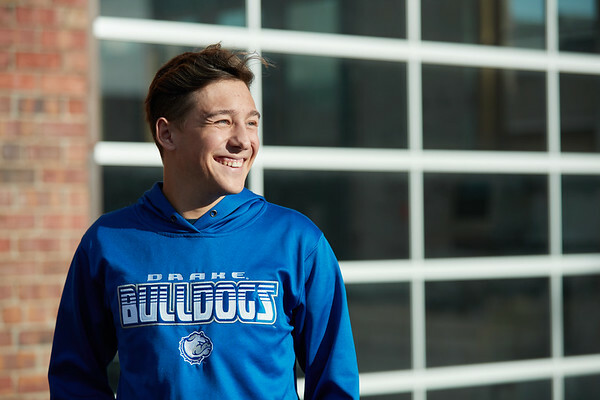 Drake has long been recognized as one of the Midwest’s best private universities; now, numerous factors are contributing to a surge in interest among the next generation of college students. Two new academic buildings, numerous new majors and minors, and a reputation as one of the nations’ best values in private higher education are complemented by Drake’s Tuition Guarantee, which ensures students pay the same tuition rate throughout their time at the University. Earlier this month, Drake welcomed more than 500 admitted high school seniors for a series of campus visit programs. While many students are attracted to Drake’s new and newly upgraded STEM facilities, the influx of applicants is taking place across many programs; for example, the music department reports a 15 percent increase year-over-year in the number of students who registered for auditions. Drake students are finding exceptional career success after graduation. Nearly every member of the Class of 2017 (98.8 percent of bachelor’s degree recipients and 99.5 percent of graduate degree recipients) held full-time employment or had been enrolled in continuing education opportunities within six months of graduation.